Paris-based artist Claire Fontaine’s work is a collection of neon, video, sculpture, painting, and text that often represents her political viewpoints and existential thoughts. After lifting her name from a popular brand of school notebooks, Fontaine declared herself a “readymade artist,” and has been specializing in neo-conceptual works since 2004. She leans into her freshness and youth to represent her search for subjective emancipation. 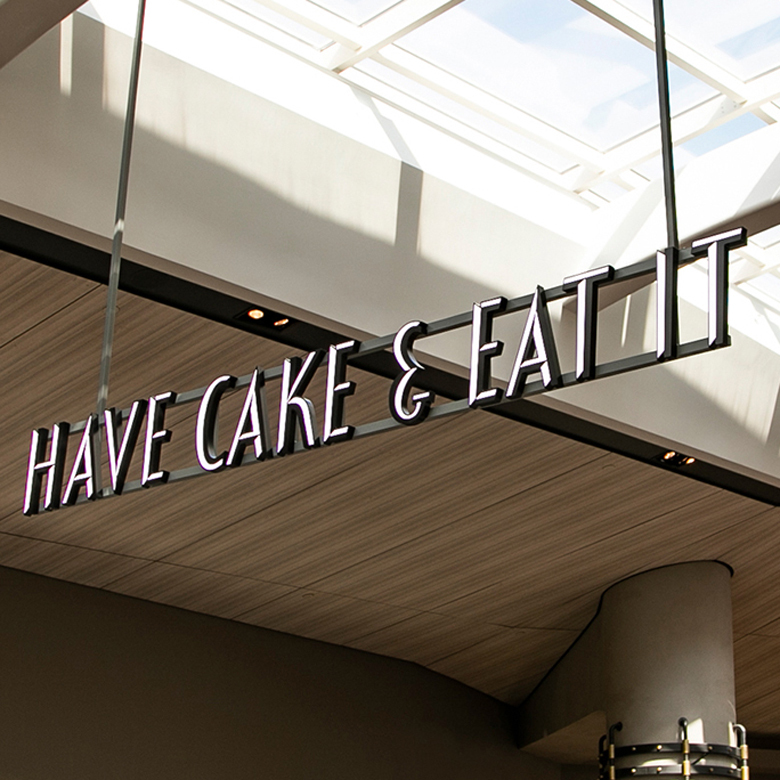 Fontaine’s whimsical sign reading Have Cake & Eat It suitably hangs in Aventura Mall’s Treats Food Hall, reminding visitors they can have it all.